Please remember to bring your peanut butter/crackers for our chapel project to make bags for the homeless in our community. Bring in by this Thursday!! 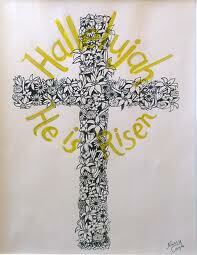 Friday – No school in observance of Good Friday….beginning of Easter Vacation. *Must have 3 pronged folder filled with lined paper in class by Monday (4/11.) We will be using for our Reading Journal for our new class novel. Monday morning we depart for Astro Camp at 9:00 a.m. Please meet in the school gym at 8:30 to gather all of our stuff. Bring a sack lunch!! We will be back Wednesday afternoon. Thanks to all of you who brought supplies to be sent to the Marines in Afghanistan. Mrs. Swoish is picking up the box and going to ship to Grant and his unit this week. We are so appreciative of your thoughtfulness and hope that you will continue to pray for their safety (and the safety for all military personnel who are on deployment overseas.) GOD BLESS AMERICA! !